The short film, "Blind Faith: A Film about Seeing" by Dana Bartle, was an official selection at the Big Sky Documentary Film Festival in Montana in February. The film had its premiere at the Hot Docs Canadian International Documentary Film Festival in Toronto April 2007 and was shown at the Dokufest in Kosovo. The film synopsis says it "reconsiders the notion of 'disability,' exploring the creative space between light and dark as a collaboration and act of faith." The film focuses on the collaborative work of visually impaired and sighted photographers in The Seeing With Photography Collective in New York. Bartle's hometown newspaper, The Press of Atlantic City, did a profile of the filmmaker Feb. 27. She is currently working on a film that looks at the music and people of Brazil to investigate cultural wealth versus financial wealth. "Dancing with the Stars" seems to have upped Marlee Matlin's Hollywood profile so that she had a very cordial run-in with a paparazzi photographer and ended up on the TMZ.com celebrity gossip site. She is so nice to the photographer that she even tells her to be careful so she won't trip when walking backward with her camera to take Matlin's picture. Matlin says she is doing "Dancing with the Stars" "for the fun of it." This week, the Baltimore Symphony Orchestra (BSO) held an innovative concert/lecture/performance that explored Beethoven's music and his deafness and other physical illnesses. It was the idea of Marin Alsop, the music director for the BSO, and it combined music with lectures about Beethoven from Johns Hopkins and University of Maryland Medical School medical experts. The Baltimore Sun reported that the program "explored diagnoses of the composer's hearing loss and a long list of physical ailments that made his last years especially difficult, from respiratory trouble to skin disorders." Dr. Charles J. Limb, assistant professor of otolaryngology at the Johns Hopkins University, who is one of the medical experts in the program, says in The Sun: "Beethoven is probably the most famous deaf person the world has ever known. Beethoven's hearing loss is the closest thing that classical music has to an urban legend. There is a tendency to romanticize it, but he hated it." Alsop explained: "For me, the main motivation is to get beyond the image of Beethoven as this disembodied bust, to give people insight into this man who lives upstairs or next door, who writes this incredible music, but is such a tortured soul." The program included orchestral performances, projected slides of historic images and even a local actor, Tony Tsendeas, portraying Beethoven. Robert Latimer, a Saskatchewan farmer, had been sentenced to life in prison without chance of parole for the first 10 years of his sentence but was granted day parole on Feb. 27, after only seven years in prison, The Globe and Mail reported Feb. 28. Latimer admitted to killing his 12-year-old daughter, Tracy, who had severe cerebral palsy, in 1993 and said he did it out of love to spare her further pain. The Globe and Mail reported that the appeals division of the National Parole Board rejected the board's Dec. 5 decision, which denied Mr. Latimer's parole. The appeal division said the Dec. 5 decision was "unreasonable and unsupported." Canadian disability advocates were upset by the parole decision. "We're very disappointed," Marie White, chairwoman of the Council of Canadians with Disabilities, said in The Globe and Mail. "It sends a dangerous message, that it's okay, it's different, if you murder someone who has a disability." Latimer maintains that he has no guilt from his actions. He said in December: "It was the right thing to do. ... The laws were not as important as Tracy was." The case has been heatedly debated all over Canada, with some Canadians siding with Latimer's contention that it was a "mercy killing," and advocacy groups for disabled people saying it was the outright murder of a child with a disability. Initially, the Canadian courts seemed to be on the side of disability groups, when they overturned a jury recommendation that Latimer serve a year in jail and another under house arrest. Instead, the Supreme Court of Canada gave Latimer the mandatory minimum sentence for second-degree murder, life in prison with chance of parole in 10 years. The Globe and Mail stories about the case seem to be Latimer's side, often referring to Tracy Latimer's "acute pain," "contorted body," "multiple operations" and that her future held "more of the same." And many readers (156 so far at 6: 30 p.m. EST on Feb. 28) seemed to support Latimer's release in their online comments to the stories. I personally don't support the murder of anyone, even under the guise of "mercy killing." In my opinion, a truly loving father would have moved heaven and earth to find the best medical professionals who could have assisted Tracy to have the best quality of life available to her. More than 40 percent of the 700 workers at a South Carolina Walgreens distribution center are disabled, and according to the corporation, the efforts are due to a Walgreens executive who has a son with autism. ABC News did a report on Walgreens' program on Feb. 11. It's an excellent story that interviews about five people with different disabilities and lets them tell about their work experience from their personal perspective. However, the headline on the ABC news web site is offensive and patronizing to both Walgreens and its disabled workers: "How one super store is saving the disabled." Really? The story explains that Walgreens doesn't see it that way, but they just had a need for hard-working employees and found them among the disability community. But either someone complained about the headline or ABC realized it was inaccurate because while I was writing this on Feb. 28, it was changed to: "Employees at This Walgreens Distribution Center Are More Able Than Disabled." That's better. The Minnesota Developmental Disabilities Council has created a Parallels in Time II web site, which features a multimedia history collection about the John F. Kennedy administration's role in initiating new programs for people with disabilities. The Council says that America and people with disabilities began a significant chapter in 1961, when President John F. Kennedy initiated a greater federal role in disability issues. This groundbreaking effort was then known by the title “A Proposed Program for National Action to Combat Mental Retardation.” The President’s Panel redefined the role of institutions and supported the concept of community residential alternatives. - Pierre Salinger’s original press release of October 11, 1961, announcing formation of the Panel. It contains the language, realities and objectives of that time, and is seen at www.mncdd.org/parallels2/pdf/62-sallinger-pr.pdf. - A video of Elizabeth Boggs contains her descriptions of the framework and accomplishments of the President’s Panel. Her remarks are transcribed onscreen, with accompanying photographs. - A link to view the President’s remarks (full-motion video, with transcription) at the 1962 Kennedy Foundation Awards Dinner. - The recommendations of the President’s Panel (216 pages) can be found at http://www.mncdd.org/parallels2/pdf/62-NAC-PPM.pdf. Jane Brody's health column in Feb. 26 NY Times science section focuses on Josh Swiller and his memoir about his deafness and his time in the Peace Corps in Africa. He also discusses the cochlear implants he received in 2005 and how they improved his life. She writes that "some deaf people are opposed to cochlear implants, because they regard the world of the deaf as a community, which they believe that implants threaten." The statement is somewhat true, but many in the deaf community has become much more accepting of cochlear implants recently because they are seen more as high-powered hearing aids than as a "cure" for deafness. The National Association of the Deaf (NAD) wrote a detailed position paper on cochlear implants in 2000, which did not reject the technology but supported it because NAD says it "recognizes all technological advancements with the potential to foster, enhance, and improve the quality of life of all deaf and hard of hearing persons." To parents of deaf children, it explained that "NAD recognizes the rights of parents to make informed choices for their deaf and hard of hearing children, respects their choice to use cochlear implants and all other assistive devices, and strongly supports the development of the whole child and of language and literacy. Parents have the right to know about and understand the various options available, including all factors that might impact development. While there are some successes with implants, success stories should not be over-generalized to every individual." The NAD position paper concludes, saying it "asserts that diversity in communication modes and cultures is our inherent strength, and that mutual respect and cooperation between deaf, hard of hearing, and hearing individuals ultimately benefit us all." It is an excellent and reasoned discussion of a technology that has been having a major impact on the deaf community, and the news media should turn to an organization like NAD to truly understand the complexities of issues that affect deaf people. The NBC show "Medium," in which Patricia Arquette plays Allison Dubois, a psychic who helps the police and lawyers, has featured two recent shows that have disability themes. On Feb. 18, the plot revolved around the kidnapping of a deaf girl, but viewers didn't know that right away; all they knew was that Allison woke up unable to hear. It used a few tricks to heighten that experience because every time a scene was shot from her perspective, the scenes were completely silent. (Arquette's brother, David, directed the episode.) When Allison learns that a wealthy deaf girl has been kidnapped, she relays what she sees in her dreams to the missing persons expert helping the family. One of the first clues from Allison's dream is that the kidnappers were signing to the daughter, so it was clear they already knew she was deaf. None of the sign language in the episode was captioned, and I think that would have helped the episode. One thing I did like about this episode is that the stepfather is revealed to be the "bad guy." It's nice to see a show give accurate crime information, which is that most crimes involve someone the victim knows. The Chat with Bryen blog gives a good recap of the show. On Feb. 25, the plot revolved around Allison working for a defense attorney representing a man accused of murdering his wife. The man has two daughters, one of whom is intellectually disabled, and he had fought with his wife (his daughters' stepmother) because he didn't want to send his disabled daughter to an institution. It's an interesting episode with many twists and turns and each new dream gives Allison a moral quandary, which she had from the beginning in working for a potentially guilty man. One dream reveals that the disabled daughter has been violent in the past and possibly killed the stepmother, and her father is trying to protect her. I didn't like this turn of events because historically too much film, TV and literature make disabled characters evil. But the final twist revealed in Allison's final dream gave an excellent resolution to the disability storyline. The non-disabled sister turned out to be the "bad guy," who had perpetrated all the violent acts, including killing the stepmother, and she always used her disabled sister as the scapegoat and physically threatened her to keep her quiet. It's a good reminder about the abuse that many people with disabilities, especially women with disabilities, live with in their lives. Aimee Mullins, paralympic athlete, actor, and model, is being featured in a new Kenneth Cole campaign about "25 years of non-uniform thinking," and Sunday Feb. 24 the Kenneth Cole ad featuring her appeared in The New York Times Style Magazine on spring women's fashion. In an interview with the New York Post, Marlee Matlin gives excellent information to the hearing world about how she can hear and feel music so she can perform on ABC's "Dancing with the Stars." "In a dance studio, I like the music to be turned up loud so I can follow along the bass line," Matlin said in The Post. "But mostly, it's about that rhythm I have inside me. I've got groove because my heart beats just like everyone else's. The trick for me is to use what I've got to sync up with the music that comes through my dance partner's moves. "In the end, it sounds complicated, but it's really not a big deal. Just ask the 30 million other deaf and hard of hearing Americans, and they'll say the same thing. There's music out there but a lot of it is about the music you have inside." Matlin wears two digital hearing aids but without them she has little hearing. "They do a few things; they amplify the higher frequencies which I can't hear, they sharpen the lower frequencies which I hear better and then they mix it all together and amplify it," she explained. "As for music, I've been a fan of music for years - Billy Joel, Madonna, etc. With hearing aids, I've been able to hear the beat, I can hear that there's music," she said. "And if I've learned the words, I can match up what I hear with the words being sung. That's how I've been a big fan of Billy Joel's music since I was a kid and that's how I was able to sign the national anthem with him at last year's Super Bowl." 1. Hearing impaired actress Marlee Matlin wins Best Actress for her debut film performance in "Children of a Lesser God" in 1987. She caused controversy in the Deaf community by signing and speaking, and even more controversy in 1988 when she presented the best actor award and spoke even more. Here's a somewhat bizarre YouTube video of her acceptance and presentation that makes it sound like she learned to speak much better between 1987 and 1988, which is probably incorrect. 2. "King Gimp" wins for Best Documentary (Short Subject) in 2000. Dan Keplinger, the subject of the documentary about a young man with cerebral palsy who strives to become an artist, jumps from his wheelchair in excitement when the win is announced. (Full disclosure: Dan is a former student of mine.) Many people are concerned that he is injured, but all of us who know him realize he is jumping for joy. Unfortunately, the stage is not wheelchair accessible and Dan can't go up with directors, Susan Hadary and William Whiteford, even though he wrote the script for the documentary. I realize that the subjects of documentaries rarely go up on stage, but wouldn't it be great if they had an accessible stage! An update on Dan's story: He received in MFA in Art at Towson University in 2007. Way to go, Dan! (You can see a clip of King Gimp in this CNN story.) You can purchase "King Gimp" or book Dan as a speaker. He also appeared in an excellent Cingular ad during the Super Bowl in 2001. 3. Christopher Reeve appears in 1996, a year after his riding accident that left him a quadriplegic. According to the NY Times, he "moved an Academy Award audience to tears with a call for more films about social issues." I am not into Christopher Reeve idolatry (that's a blog post for another day), but as I remember it, when he flew west to appear at the Academy Awards, lots of Hollywood types were educated about the difficult transportation issues for someone who is quadriplegic and about accessibility issues for the Academy Awards venue. And making movers and shakers aware of those issues is always a good thing. 4. Louise Fletcher wins 1975 Best Actress for "One Flew over the Cuckoo's Nest" and thanks her deaf parents in sign language during her acceptance speech. Both her parents were deaf from birth and she was raised bilingual, learning American Sign Language from her parents and learning to speak from her aunt, according to an article by Deaf Friends International. She was apparently the first person to sign at the Oscars. 5. "Breathing Lessons: The Life and Times of Mark O'Brien" wins the 1996 Academy Award for Best Documentary (Short Subject). O'Brien, who lived in an iron lung, was a poet, journalist and advocate of the independent living movement for people with disabilities. He died in 1999. Jessica Yu directed the documentary; she won the 1995 Oscar for Best Feature Documentary about architect Maya Lin. 6. "Murderball," about quad rugby, is nominated for the 2005 Best Documentary Feature. But it was the year of the penguins, so "The March of the Penguins" won. But just being nominated helped it receive some much deserved publicity. It did win the Audience Award for Best Documentary Feature at the 2005 Sundance Film Festival, and one of its "stars," Mark Zupan, went on to be in an ad for Reebok. 7. "Educating Peter" receives the 1992 Academy Award for Best Documentary (Short subject). The film by producer/director Gerardine Wurzburg followed a boy with Down syndrome through his third grade year in a regular class in his Virginia elementary school. She followed it up with "Graduating Peter," which appeared on HBO in 2003. 8. Gerardine Wurzburg produced "Autism is a World," which is nominated for Best Documentary (Short subject) in 2004. This documentary follows Sue, who has autism, as she explains what she feels and what her life is like. Initially labeled as mentally retarded, Sue starts using facilitated communication at age 13, becomes a top student, and attends college to study Latin American history. 9. "Helen Keller in Her Story" (also called "The Unconquered") wins 1955 Best Documentary Feature. It is a biographical documentary of Keller, which includes interviews with Dwight D. Eisenhower and Martha Graham. I have seen this documentary and it is a fantastic document of her every day life. 10. "Best Boy" takes home the 1979 Oscar for Best Documentary Feature. It chronicles the life of filmmaker Ira Wohl's cousin, Philly Wohl, an intellectually disabled 52-year-old, who learns the skills he needs to live on his own as his parents become too elderly to care for him. 11. "Sound and Fury" nominated as 2000 Best Documentary Feature. The documentary focuses on two brothers, one hearing and one deaf, who have to make decisions about about cochlear implants for their children. In 2006, "Sound and Fury" producer/director Josh Aronson completed a new film "Sound and Fury: Six Years Later," which explores family members lives after they get cochlear implants. The Deaf Fun blog reports that Marlee Matlin will star in the TV movie "Sweet Nothing in My Ear" on April 20 or 27. The film focuses on a couple who has to decide about a cochlear implant for their child. The mother is deaf (played by Matlin) and the father is hearing (played by Jeff Daniels) and the decision brings conflict into their marriage. The movie will be a Hallmark Hall of Fame presentation on CBS. "Sweet Nothing in My Ear," by playwright Stephen Sachs, had its world premiere on The Fountain Theatre stage in 1997. Sachs co-founded The Fountain Theatre and helped Ed Waterstreet launch LA's Deaf West Theatre at The Fountain in 1991. An interesting comment on the BroadwayWorld web site explains that the press materials' description of a cochlear implant is incorrect. Teaching actors to "play blind"
"For the crew and cast, which includes roughly 700 extras, making 'Blindness' was alternately frightening, draining, and exhilarating. That was especially true of training to act 'blind,' says Christian Duurvoort, an actor who coached his colleagues in a series of workshops. Just as important as understanding the physical mechanics of being blind, Duurvoort says, was helping the actors deal with 'the emotional state, the psychological state, being vulnerable.' Meirelles had emphasized that he wanted the extras to seem like desperate, traumatized human beings, not B-movie zombies. Practically everyone working on the film donned a blindfold at some point, even the producers and the director." Laura Johnson in her visitable home. Visitability strives to make homes more accessible to people with disabilities. Concete Change in Georgia, which developed the concept, defines it as a movement "to change home construction practices so that virtually all new homes -- not merely those custom-built for occupants who currently have disabilities -- offer a few specific features that make the home easier for people who develop mobility impairments to live in and visit." The spirit of the idea says "it's not just unwise, but unacceptable that new homes continue to be built with gross barriers -- unacceptable, given how easy it is to build basic access in the great majority of new homes, and given the harsh effects major barriers have on so many people's lives. These easily-avoided barriers cause daily drudgery, unsafe living conditions, social isolation, and forced institutionalization. " The Knoxville (Tenn.) News wrote about that city's Metropolitan Planning Commission's suggestions, "requiring visitability features in some homes getting public funding, certifying homes that meet visitability standards and creating literature to promote the idea to consumers and home builders." Eleanor Smith, a wheelchair user who founded Concrete Change, says the concept of visitability dawned on her because: "I had paid the price of lack of access over and over again, when I could not go to friends' parties, suffered from being unable to get my wheelchair through bathroom doors when visiting, faced great difficulty finding an apartment or house I could rent." The media is making much of Marlee Matlin's hearing impairment now that it is official that she will be on ABC's new season of "Dancing with the Stars." Matlin explains in USA Today Feb. 18 that "Deaf people can do anything except hear. My deafness will limit my ability only if I let it." I thought the lead of the USA Today story had a negative tone: "Heather Mills competed with a prosthetic leg on Dancing With the Stars. Next up: a woman who can't hear the music." Hopefully Matlin's time on the show will help educate the entire country about the many abilities of deaf and hearing impaired people, which is what she hopes the audience will take from her participation. But she says the most important reason for saying "yes" to the show -- her husband and four kids love "Dancing with the Stars." Anthony Tusler, who writes the AboutDisability web site, has long researched disability themes in American popular music. For example, Tusler says the song "Save the Last Dance for Me," originally sung by Sam Cooke, was written by a wheelchair user, songwriter Doc Pomus, for his fun-loving, able-bodied wife. The Santa Rosa (Calif.) Press Democrat wrote a column about Tusler's work last fall, and Tusler has published several articles about his findings about the numerous songs with disability themes, as well as about singers and musicians who have disabilities. At e-bility.com, he writes about the first song he heard with a disability theme, "There's a Star Spangled Banner Waving Somewhere." He says it was a top-selling song of World War II and the lyrics ask "Can the U.S. use a mountain boy like me?" because "Though I realize I'm crippled, that is true, sir, please don't judge my courage by my twisted leg." Tusler writes that "hearing the tune as America was drafting my friends to go to Vietnam, I marveled that someone with a disability exemption would want to go to war." Tusler also created two radio shows of songs by and about people with disabilities: Disability_Songs_Part1.mp3 and Disability_Songs_Part2.mp3. The play list is on the AboutDisability site. I can attest that Tusler has put together a wonderful collection of songs. The Society for Disability Studies, of which I am a member, has a dance at its annual conference, and in 2003, the dance featured a number of songs from his collection. Writing coach Roy Peter Clark of the Poynter Institute recounts the opinion of a disabled friend who questions why "you rarely see a person in a wheelchair in the news who is not framed either as a hero or a victim." Clark owns up to the problems in news media coverage: "We in the news media, as always, are part of the problem. Until we portray disabled citizens in ways that have nothing to do with their disabilities, we will stand guilty of a great distorting cliche of vision: that the disabled are too vulnerable to be criticized." You are asked to tell Poynter what you think about news coverage of disabled people, so here's your chance to let a major journalism education organization know the score. In the wake of a lawsuit filed by Alice Camarillo, a blind woman from upstate New York, who says she has been ridiculed while ordering at fast-food restaurants, The New York Daily News decided to go with a local blind customer, Carlos Melendez, to find out how he is treated. It's great to see a newspaper take initiative to follow up on what could be a very important case about the Americans with Disabilities Act (ADA). The Feb. 8 ruling that allows Camarillo to proceed with her ADA case against restaurants whose employees mocked her is believed to be the first of its kind, according to The Daily News. "The issue is whether the restaurants properly train their employees to serve the blind and disabled." Peter Dinklage will star in a Bard College production of Anton Chekhov's "Uncle Vanya," according to theatremania.com. The production will be part of Bard SummerScape 2008 at the college, located on Annandale-on-Hudson, NY. The production, which will run July 9-20, is to be directed by Dinklage's wife, Erica Schmidt; set design will be by Mark Wendland, costume design by Michelle R. Phillips, and lighting design by David Weiner. For tickets and information, call 845-759-7900 or visit www.fischercenter.bard.edu. Theatre trade publication Back Stage wrote an article Feb. 14 that focuses on some of the barriers actors with disabilities face in trying to get cast in theatre, TV and film productions. The article covers several theatre groups that give opportunities to disabled actors, such as Theater Breaking Through Barriers (formerly Theater by the Blind) in NY City and the Deaf West Theatre in L.A.
L.A.-based actor Teal Sherer, who is paraplegic, explained that there are few roles for wheelchair users, and many casting directors offices and acting classes are in locations that aren't wheelchair accessible. "I auditioned last year for a commercial. They wanted somebody in a wheelchair, but the casting office wasn't accessible, so we all had to audition downstairs in the parking lot," Sherer said in the article. "It's like that with acting classes. I am so limited by where I can study because of the accessibility." The article also highlighted the efforts by the Performers with Disabilities Committee of the Screen Actors Guild (SAG), which has been trying for 20 years to get actors with disabilities included in the annual Casting Data Report, released by SAG and the Alliance of Motion Picture and Television Producers. Performers with Disabilities national chairman Robert David Hall, who plays Dr. Al Robbins on the CBS TV show "CSI: Crime Scene Investigation," says in the article that "the absence of performers with disabilities from the report reflects Hollywood's reluctance to even consider writing roles for and casting these performers." SAG released a study done by the National Arts and Disability Center in 2005 that specifically focused on performers with disabilities. The study found that less than 2 percent of TV show characters display a disability and only 0.5 percent have speaking roles. Also, performers with disabilities were much more likely to face workplace discrimination compared to people without disabilities. Scene from "The Last American Freak Show." Director Richard Butchins, whose film "The Last American Freak Show" BAFTA pulled from appearing in a disability film festival in London this weekend, says BAFTA is wrong to think it has "better and more accurate judgement about what is an appropriate film to show at a disability event than the disability organisation they were partnering with." The film festival is co-sponsored by the London Disability Arts Forum. Butchins wrote his response to the controversy in The Guardian arts blog on Wednesday. He says he realizes his documentary is unorthodox, explaining "it presents an unusual version of disability, showing people deliberately displaying their deformity in a challenging and confrontational way, but it's also a road trip that a rather unlikely group of protagonists take along America's west coast, performing and carousing as they go." Butchins says the BAFTA incident illustrates "how little thought and care is given to disability either by the film and TV industry or by society in general." The documentary has drawn support from some disabled actors in the UK. Performer Mat Fraser voiced his approval of the film in a Guardian article Friday. He explains, "we wouldn't put up with a white or straight person's reacting fearfully to a black or gay film-maker's viewpoint - but Bafta got freaked out." Oscar Pistorius, a double-amputee sprinter, has appealed a decision that has barred him from competing to qualify for the Olympic Games, according to a NY Times story Feb. 14. Pistorius appealed before the Court of Arbitration for Sport in Switzerland on Wednesday. In January, the International Association of Athletics Federations, track and field’s governing body, "ruled that his carbon fiber prosthetic blades gave him an unfair advantage." According to a scientific study in November, Pistorius' prosthetics are "more efficient than a human ankle . . . can return energy in maximum speed sprinting and that Pistorius was able to keep pace with certain able-bodied sprinters while expending about 25 percent less energy." “The tests that were performed, we believe, were completely flawed and inadequate,” said Jeffrey Kessler, Pistorius' lawyer. From a media standpoint, I am glad to see the New York Times covering this important issue. 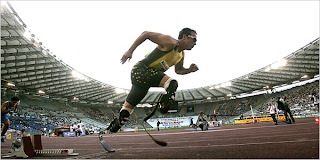 And there is a precedent for athletes with prosthetics competing against able-bodied athletes. Aimee Mullins, who is now an actress and model (See my blog post about her from Feb. 8), was the first athlete with a disability to face off against able-bodied athletes in NCAA Division 1 track and field events, when she attended Georgetown University. New directions for Marlee Matlin? Chris Kaftan, a history teacher at the Maryland School for the Deaf, reflects on some of the newer aspects of Marlee Matlin's career, as well as her sometimes controversial status in the deaf community, in his article for i711.com. He also discusses some of Matlin's activism on behalf of the deaf community and her new role as a member of Gallaudet University's Board of Trustees. The incident in which a man in Tampa, Fla., was dumped onto the floor from his wheelchair, while being booked by sheriff's deputies actually happened on Jan. 29. But this week a video of a Hillsborough County deputy dumping quadriplegic Brian Sterner on the floor hit YouTube. After seeing the footage, the sheriff's office suspended the deputy on Feb. 12. In the two days since the first video of the incident was posted on YouTube, more than 70,000 people have looked at it. I think video can be a powerful ally in documenting abuse of people with disabilities. It's also becoming a routine way to document police misconduct. Here in Baltimore, friends of a skateboarder posted a video of him being berated by a cop. The video already has more than 500,000 views on YouTube just 5 days after being posted. The Baltimore Sun reports that citizens making videos of the police has become the norm in some city neighborhoods: "Citizens armed with cameras - even in their cell phones - are filming officers in action, sometimes with unflattering results." This phenomenon could be a real asset to people with disabilities and their friends and families. In addition to abuse, people with disabilities with video cameras can document violations of the Americans with Disabilities Act, inaccessible buildings, and discrimination in many forms. Four Hillsborough County sheriff's deputies have been suspended after purposely tipping a quadriplegic man out of his wheelchair at a jail, authorities said Tuesday. Orient Road Jail surveillance footage from Jan. 29 shows veteran deputy Charlette Marshall-Jones, 44, dumping Brian Sterner out of his wheelchair and searching him on the floor after he was brought in on a warrant after a traffic violation. Sterner said when he was taken into a booking room and told to stand up, Jones grew agitated when he told her that he could not. "She was irked that I wasn't complying to what she was telling me to do," he told The Tampa Tribune. "It didn't register with her that she was asking me to do something I can't do." Jones has been suspended without pay, and Sgt. Gary Hinson, 51, Cpl. Steven Dickey, 45 and Cpl. Decondra Williams, 36 have also been placed on administrative leave pending an investigation, sheriff's spokeswoman Debbie Carter said. "The actions are indefensible at every level," Chief Deputy Jose Docobo said. "Based on what I saw, anything short of dismissal would be inappropriate." In Tampa Bay's 10 News report on Feb. 13, Brian Sterner explains what happened to him and the broken ribs he sustained from the dumping. The extremely talented actor Peter Dinklage will finally be on the big screen again this month with the release of "Penelope" on Feb. 29. The film, which was completed in 2006, even has a theme about accepting physical difference. "Penelope" producer Scott Steindorff calls the film the "'anti-Barbie' movie. Today, everyone's so concerned about how they look, that it's interesting to develop a story where a young woman overcomes prejudice about how she looks and proves her strength of character and eventually triumphs, finds herself and finds true love." Dinklage, best known for his SAG best actor award-winning role in 2003's "The Station Agent" plays Lemon in "Penelope." Lemon is a tabloid reporter who wants a photo of the mysterious Penelope (played by Christina Ricci) and hires Max (played by James McAvoy) to pose as a prospective suitor to get the picture. The movie is being billed as modern romantic fairy tale, and may actually draw some attention with the rising star of James McAvoy ("Atonement") in it, as well as having Reese Witherspoon in the cast. I have been a fan of Dinklage since "The Station Agent;" I admire his brilliance as an actor and how he has been able to avoid stereotypical roles for short-statured actors. A 2007 USA Today article about LP actors explained that "the approximately 125 short actors who are Screen Actors Guild members say they're usually pigeonholed by producers, directors and screenwriters. And even exceptional roles offer scant career momentum." But that things are getting better: "times seem to be improving, with diminutive actors receiving high-profile projects and broader, more nuanced roles." Dinklage appeared in a nuanced role as an artist/male nanny in the F/X channel plastic surgery drama,"Nip/Tuck," in 2006 and his character had an affair with 5-foot-9 Joely Richardson. "His height was a counterpoint to the show's central theme, the idolization of physical perfection, " according to USA Today. But many LP actors still have to contend with lots of scripts that relegate them to roles as Christmas elves or as comedy relief. "Obviously, everything needs to move forward a bit in Hollywood," Dinklage told USA Today. "It's certainly getting a lot better. But it's two steps forward, one step back. There's a lot of crap out there." Dinklage was in an off-Broadway play, "Things We Want" last fall, which marked the off-Broadway directorial debut of his friend Ethan Hawke. Dinklage is currently filming "The Chronicles of Narnia: Prince Caspian." I am hoping for the day when he stars in the film adaptation of Simon Mawer's Mendel's Dwarf. According to Variety in 2005, Barbra Streisand's production company, Barwood, acquired the rights to the 1998 novel, which focuses on the life and work of Dr. Ben Lambert, a geneticist who struggles to unravel the genetic secrets of dwarfism, as well as his complex relationship with a woman in a bad marriage. Peter Dinklage was set to star. It's a fantastic book, and when I read it last year, I already had Dinklage starring in the film adaptation in my mind. Here's hoping the only delay is Barbra getting a great script written. Sandy Lahmann writes a newspaper column on the subject of living with a disability, for the Summit Daily News in Frisco, Colo. Her most recent column explained that not everyone who uses a wheelchair is paraplegic. Other columns have focused on pity, not helping, and elderly people. The column began in November 2007. Keep up the good work, Sandy. Photo by Mahesh Umrrania, who lost sight in both eyes as a boy. He currently studies Indian classical music at Bombay University. Thanks to the My India Report blog for reminding me about Blind with Camera, an innovative program in which visually impaired people are taught photography. Sighted people may not "get it," but this is an excellent way for people who are visually impaired to tap into their creativity and imagination. Founded by artist Partho Bhowmick, the program works with students at Victoria Memorial School for the Blind in Mumbai. He says, "the project aims to establish that photography can be made with the mind as much as it is made by the eyes, to redefine the common notion that 'to see is to photograph and to photograph is to see' and to help to change social perceptions towards visually impaired people." He explains that the photos created are a new kind of art: "Visually impaired photographers are authors of a 'new’ visual language with ‘no’ predefined visual grammar; it demands a new way of ‘reading,’ with openness of mind." Bhowmick says the inspiration for the program came from similar projects all around the world: Japan hosts an annual photo competition for visually impaired people; the Aperture Foundation in NY City published a book called Shooting Blind in 2005; and the UK group called BlindArt has celebrated visual art by visually impaired artists for more than a decade. He hopes Blind with Camera will promote disability arts culture throughout India. In you are in the USA and want to see photos by blind people in person, you might find a Seeing Beyond Sight exhibit near you. It features photos by blind teenagers and has been touring U.S. museums. A book by the same name was published in April 2007 by Tony Deifell, who spent five years teaching blind teenagers photography. Ruth Harrigan of the Wheelie Catholic Blog wrote a wonderful piece about the numerous times she was interviewed during her years playing wheelchair tennis. She explains how every reporter came to interview her with what seemed like a formula for the story of "wheelchair athlete" and never asked questions about her life. "My experiences with reporters who interviewed me about wheelchair tennis usually went something like this: they would ask questions such as how I wound up in a wheelchair and what my disability was. Then they would watch me play for a while, take a few pictures and leave. Nine out of ten times none of them asked me anything else. It was as if they were filling out a form entitled : inspirational wheelchair athlete article," she says. Reporters actually stopped taking notes when told them she had a job and just played tennis as a weekend activity. "There was no way, it seemed, to get across the real story, which was that I played wheelchair tennis as a weekend warrior, competing at tournaments during the spring and summer for short two or three day trips, while working. The reporters didn't want to hear about my other life - the real job I had and all the other things I did with my life," she said. I wish more people with disabilities would write about their experiences being interviewed by the news media. Reporters will only start getting it right when enough people tell them what they do wrong. Thanks to the Abled Blog for pointing out Harrigan's article. Another report, this time from Star magazine, that the cast of ABC's "Dancing with the Stars" will include Academy Award winning actress Marlee Matlin. Other stars to dance are supposedly Marissa Jaret Winokur from Broadway's original cast of "Hairspray," Sean Hayes from "Will & Grace," and Pricilla Presley. The season premiere will be March 17. Don't use the term 'wheelchair-bound.' Ever. First, journalists should look at the basic definition of the word "bound." It means "confined by bonds; tied." The example usage given is "bound and gagged hostages." Wheelchair users (the most accurate term) are not hostages to their chairs; they are actually liberated by them. Even The Associated Press Stylebook admonishes writers not to use the terms “confined to a wheelchair” or “wheelchair-bound” because "people use wheelchairs for independent mobility." When journalists use these terms, they misrepresent disability, as well as showing their misunderstanding of the experience of people who use wheelchairs. Disability policy consultant June Issacson Kailes explained many years ago in her discussion of disability language that wheelchairs are not binding or confining but actually increase mobility, speed, and ability. For many people, wheelchairs increase their personal freedom. This is not just some rant from me. I have actually studied the use of these stereotyping words about disability by the news media. Sadly, my findings were that the use of the term "wheelchair-bound" actually increased in both The New York Times and The Washington Post from 1990 to 2000. So I'll say it again -- Don't use it. Ever. P.S. The picture is a T-shirt from The Nth Degree. The Hollywood Insider reports that the ABC show, "Dancing with the Stars," may have convinced Academy Award-winning deaf actress Marlee Matlin to join the show's sixth season. But the show keeps very quiet about who each season's "stars" will be, so there is no confirmation from ABC or Matlin. ABC should announce the entire cast for season six later in February. The season premiere will be March 17. Even though I don't watch "Dancing with the Stars," I hope it happens. Her presence will go a long way toward educating hearing people who don't seem to understand that many deaf people enjoy dancing and music. Media personality Mo Rocca had to retract his ridiculous comment about Marlee Matlin last spring when he made a stupid joke questioning why Matlin attended an American Idol performance. Matlin's a class act, and after her interpreter complained to Rocca, she wrote her own response on his blog: "At the end of the day it's not the humor or the jokes that bother me, it's the real stuff like discrimination, lack of understanding, and inequality that ticks me off. Even more annoying are people who actually take the humor and use it to reinforce their prejudices. It's true some of your readers might have been sensitive to your comments but that's because they've been on the receiving end of ignorance - big time. So maybe that means we should choose our words carefully. At the same time, I think free speech and common sense are important too. So, you won't see me going Al Sharpton on you if you want to make a joke about me or my deafness. I'd just hope that people would just consider what they say and what they label as 'humor' in this YouTube, Instant Message world where things get replayed over and over again until we're desensitized. And I'm referring to both pro and con arguments. Let's just lower the volume, I say. (Pun intended)." And if the Feb. 3 episode of "The L Word" was any indication, Marlee Matlin is already a fantastic dancer. Most of "The L Word" cast was in a party scene in which the whole gang rocked out to the Jackson 5's "I want you back." Matlin's character, Jodi, had already made it clear that she wanted to dance before the party scene, and even when her girlfriend left, she stayed -- to dance! 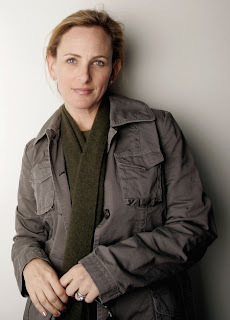 Once again, thank you Marlee Matlin for being fabulous. 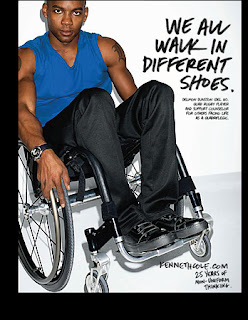 The footwear and accessories company, Kenneth Cole, is celebrating "25 years of non-uniform thinking" with a "We all walk in different shoes" campaign featuring Paralympian Aimee Mullins, quad rugby player Delmon Dunston and HIV-positive magazine editor Regan Hofmann. The campaign also includes interviews with a Sikh entrepeneur, a lesbian married couple with a child, a U.S. Army soldier and others who might be considered "non-uniform." Delmon Dunston's bio and photo. Aimee Mullins' photo and bio. Regan Hofmann's photo and bio. The British Academy of Film and Television Arts (BAFTA) faces allegations of discimination after it pulled "The Last American Freak Show" from X'08, the eighth London International Disability Film Festival, which is Feb. 18. According to a Feb. 8 story in the The Independent, "the film was shot one-handed by the director Richard Butchins, whose arm was paralysed by polio as a child. It is a stark look at disabled people who flaunt their conditions. Filmed over six weeks and following six disabled and four non-disabled people who made up a carnival touring the US, it shows the individuals 'perform' in bars and theatres." The "head of events at Bafta and the person responsible for the decision, [told] me that the 'aesthetic' of the film was wrong, that it was too explicit, raised too many questions and was too demanding for the event in question," Butchins said in The Independent. The film was replaced in the film festival by "Lars and the Real Girl," a 2007 film about a delusional young man who begins a relationship with a life-size blow-up doll. 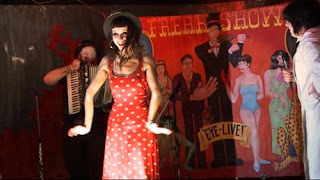 Here's a clip of "The Last American Freak Show" on YouTube. A UK-based TV production company is researching a documentary about the IVF embryo issues within the Human Fertilisation and Embryology Bill, which the UK Parliament is currently debating. According to the legislation under consideration, "deafness would be included as an ‘abnormality;’ therefore, any parents would be forced to choose embryos with hearing genes as opposed to those with deaf genes." The production company "would really like to speak to somebody who feels they would choose the deaf embryo given the choice, and give them a chance to explain their reasons for doing so." To contact the production company or to read more about the issue, go here. The Indian government commissioned the World Bank study, which reported that, in particular, the "characterisations of disabled women in 'modern myth machine' Bollywood are not strong enough, though Indian films as a whole have tried to 'enhance' society’s 'sensitivity,'" according to a Feb. 6 story in The Calcutta Telegraph. The World Bank report said, "despite filmdom’s efforts to sensitise the public, people with disabilities in India were 'among the most excluded in society.'" The report noted several films that did a good job of providing accurate portrayals of people with disabilities. “'Lagaan' is an excellent example of a mainstream film that has highlighted the process of inclusion of a Dalit disabled person,” the report said. Another film noted was "Taare Zameen Par," which focuses on a child with dyslexia and how those around him learn to accept him. The 29-year-old Theater by the Blind (TBTB) in New York City has changed its name to Theater Breaking Through Barriers. The TBTB Web site says it changed its name "to reflect its commitment to include all artists with disabilities in its work, onstage, backstage, in the office and in the audience. As baby boomers age, more and more Americans will be dealing with disability. 52,000,000 of us, 18%, already do. Yet only 2% of characters on television exhibit a disability and only 0.5% are allowed to speak." I haven't seen the new Jessica Alba film and probably won't but just the trailer makes me think this film is going to perpetuate some negative stereotypes about blind people. Also, I am someone who believes in the importance of organ donation, so a horror film that is basically about "cornea transplants turned evil" sends an awful message about how helpful organ donations and transplants can be. One sentence in the trailer already argues my case that "The Eye" doesn't "get it" when it comes to blind people. "This surgery was supposed to make me normal," Jessica Alba's character says, after her new corneas start showing her scary things her donor saw and continues to see. The filmmakers need to understand that blind people ARE normal, and their only "difference" is their vision. Reviewer Jason Pyles says "The Eye" resorts to a typical cliché about blind people: "Sweet, sweet Sydney Wells (Jessica Alba) is blind and has been since she was five years old. Over the past 15 years or so, she’s adapted quite well to her disability, and 'The Eye' demonstrates this by resorting to the overdone cliché where the blind person saves the seeing person from getting hit by a bus." He gives the film a rating of mediocrity. Four veterans with post-traumatic stress disorder (PTSD) will perform in the National Endowment for the Arts-funded performance piece, "Action Conversations," Feb. 8-9 at Highways Performance Space in Santa Monica, Calif. Choreographer and UCLA professor Victoria Marks, who choreographed "Action Conversations," has focused her attention on war and its impact on identity in recent years, creating "Not About Iraq" in October 2007. The Los Angeles Times said it "posed provocative questions about the role of the artist in civic life and what, if any, moral imperatives exist when it comes to making art in troubled times." I agree with Marks that what has been defined as the disability experience in America may begin changing as the Iraq War veterans return home, but I hope these new members of the disability community will help their comrades in the disability rights movement continue to fight for the equal rights that all people with disabilities deserve. Sandy Huffaker for The New York Times. A program from the Wounded Marine Careers Foundation has 19 disabled veterans participating in a 10-week apprenticeship program to learn film and media production. 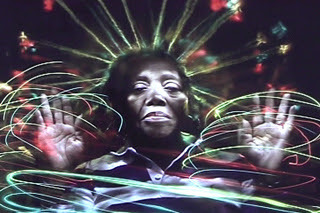 According to the Feb. 3 New York Times story, "The film program is the brainchild of Kevin Lombard, an Emmy-winning cinematographer and documentary filmmaker, and his wife, Judith Ann Paixao, who has assisted in his productions. A friend with ties to the Marines suggested that Mr. Lombard make a documentary on the wounded, but Mr. Lombard struck on another idea. 'Why not give these marines the tools to tell their own stories?' he said." Brent Callender, 22, of Downey, Calif., who was a Marine lance corporal, told the New York Times, "the program rescued him from despair over his injuries and his future. He broke his spine, pelvis, kneecaps and other body parts in September 2005 when he was shot by a sniper and then ejected from a vehicle that moments later hit a roadside bomb in the Anbar Province." Students sign at St. Joseph's School for the Deaf in the Bronx. Photo by Ann Weathersby, New York magazine. Lou Ann Walker wrote an interesting article in New York magazine for its Jan. 21-28 double issue on Peace + Quiet, looking at how sign language may be experiencing a downturn because of the growing use of cochlear implants for babies and children with hearing impairments. She went to the St. Joseph School for the Deaf in the Bronx to investigate language changes the school is seeing among its students. As the hearing daughter of deaf parents, sign language is Walker's first language. What she found at St. Joseph's is that the parents of kids with cochlear implants are hesitant to have their children gain fluency in American Sign Language (ASL). She writes, "Many parents are resistant to letting children with implants learn ASL; teachers are discouraged from using it, with oral and lip-reading instruction now favored. More deaf children are being mainstreamed into public-school classrooms. But not all children succeed with implants, and if they are unable to acquire enough tools to communicate, they fall behind. The battles over ASL are not so much about the absence of hearing as about the presence of a language." Her article goes on to explore the debate over oralism, which encourages deaf children to speak verbally and lip-read rather than sign. She makes an excellent argument for the importance of sign language for a deaf child's development, especially in the area of visual creativity that sign emphasizes. Walker is the author of several books about deafness -- A Loss for Words: The Story of Deafness in a Family (1987), Hand, Heart, and Mind: The Story of the Education of America's Deaf People (1994), and the children's book, Amy, the Story of a Deaf Child. It's wonderful to see Walker bring her expertise about the education of deaf people to a general interest magazine like New York. Sign language is the lynchpin in the development of deaf culture in America, so its existence remains vital. Walker explains that the debate on how to best educate deaf children shouldn't be an either-or situation: "As someone who lives in the world of words and signs, I support whatever will give a child as much language as possible. I am for cochlear implants and I am for sign language. I wish so many people didn’t see those two as mutually exclusive. " Ironically, while the debate rages in deaf education circles, sign language appears to be gaining popularity in the hearing world. Students are taking sign for their "foreign language" requirement at some schools, and hearing parents are teaching their hearing babies sign, because infants have the hand dexterity to sign before their vocal cords have the ability to speak. Here's a parenting site article about it. The actress Jennifer Beals mentioned on "The View" in January that she began teaching her baby sign language at 4 months. She has been reunited with her long-time friend, deaf actress, Marlee Matlin, on seasons 4 and 5 of "The L Word," which led to Beals revitalizing her own signing skills. Even the toddler actor that "The L Word" is using to play Beals' daughter on the show is signing. Thanks Marlee for bringing more sign language to TV! Vicki Niswander hosts Disability Beat Radio on WEFT in Champaign, Ill. Disability Beat is a public affairs program covering topics for people with disabilities. The show discusses social justice, community supports, accessibility, integration, inclusion, opportunities, freedom and choice. Visually impaired writer and poet Kathi Wolfe explores this topic in her Feb. column for Scene4 online magazine, an international magazine of arts and media. She writes, "Disability culture painting, poetry, dance, theater, cartoons and fiction isn’t of the maudlin disease-of-the-week variety. Crip creative artists are making art, using their talent and craft, not bowing before the altar of 'inspirational' icons. They, along with a small number of their non-disabled peers, are creating images of crips, in all of our variety. Depicting, without embarrassment, our different bodies and showcasing our varied personalities and perceptions. If you can’t accept that people with disabilities can be sinners as well as saints, funny as well as sad, and frauds and fakes, you’ll never 'believe that we’re fully human,' my friend George Covington, a legally blind writer in Alpine, Texas, told me in a phone interview." I flipped open my Jan. 27 NY Times magazine to find Paralympian Sarah Reinertsen in a two-page ad for the new 2008 Lincoln MKZ. As the first female amputee to compete in the Ironman Triathlon World Championship in Hawaii, she is a good fit for the Lincoln ad campaign, which is "Reach Higher." She holds the world record in the half marathon (2:12) and the marathon (5:27) for above-knee amputee women. Reinertsen was born with a bone-growth disorder and her left leg was amputated above the knee when she was 7. Her statement in the ad copy reads: "My parents always treated me like any other kid. And when I fell, my mom didn't always rush to pick me up. 'Sarah's going to pick herself up.' It was a really important lesson for me to learn. For me to keep up, I always had to be tougher than the rest. And I think that's still true today." Blind actor appears on "Nip/Tuck"
Rick Boggs appeared in the Jan. 22 episode of the plastic surgery drama, Nip/Tuck, as a blind person training Bradley Cooper's actor character to "play blind." It was a fun scene because Cooper played it over the top with his interrogation of Rick's "blind experience" that he wanted to bring the role. In typical Nip/Tuck ridiculousness, Cooper's character was supposed to be an actor playing a doctor who became blind but was still performing surgery. Kudos to Rick for landing the role, which I wish had been bigger or could become a recurring role. I have long watched Nip/Tuck, but I think it has gotten a bit creepier of late with the introduction of a devious underage character who beds the Sean McNamara character, is progressively poisoning Julia McNamara, who was her mother's lover for awhile, and even tries to convince Sean and Julia's daughter, Annie, that she should become anorexic. Nip/Tuck would be better served to go for campy, rather than creepy, IMHO. And. . . .the show totally wasted an appearance by Academy Award-winning deaf actress, Marlee Matlin, in the Jan. 29 episode. She played a studio executive, who has to make a decision about Bradley Cooper's character after he, too, beds the devious underage character, which she videotaped. It was a ridiculous scene in which Matlin had no sign language interpreter and lots of characters were talking at once. Matlin's character had about four lines, but because she played a studio executive, I can only hope that she is coming back for more episodes to explore her character, and maybe they will remember to provide an interpreter next time. Nip/Tuck has explored a few really good disability story lines in the past. 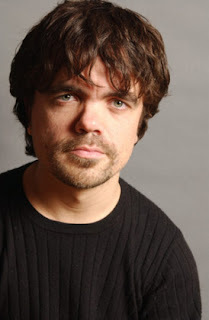 The brilliant LP actor, Peter Dinklage (of The Station Agent), appeared in a number of episodes as an artist who works as the male nanny for Sean and Julia's new baby son, who was born with disfigured hands. Dinklage's character gives the disability perspective when Sean and Julia argue about surgery to "fix" the baby's hands. Peter Dinklage's character also has an affair with Julia, which was a step forward in TV images, because so many disabled characters are presented as asexual. Come on Nip/Tuck, you have all these wonderful actors with disabilities on the show, let's see some ongoing story lines that don't demean them. Takehiko Inoue, the artist and writer who had a successful basketball manga series called Slam Dunk, has turned his attention to a wheelchair basketball team in Real, Vol. 1-7. The series has already sold 9 million copies, and a Feb. 1 review in the Daily Yomiuri Online is extremely positive, and says Real explores the human drama of the basketball team members, more than than being traditional sports manga. Here's a selection from the review: "Real has enormous story depth that can be interpreted in any number of ways. It can be a tale of overcoming mental and physical barriers, a story of growing up and letting go of your ego or a story about accepting others. It can also be a story about finding your own limits and trying to surpass them." A recent study by Simpleweb, a UK-based Web design and development firm, analyzed local Web design companies' Web sites for their accessibility for visually impaired or people with disabilities and found more than 75% to be inaccessible. A United Nations-sponsored survey in 2006 had similar findings, showing that only three in 100 Web sites studied internationally had minimum accessibility standards for people with disabilities. And in June 2007, TV Week reported the growing accessibility problems with so much TV content online -- it is not being closed captioned for deaf and hearing impaired viewers. The article explained, "The major broadcast networks have launched state-of-the-art online video players -- that do not include captions. Apple has revolutionized TV viewing by making shows available for download on iTunes -- without captions." FCC regulations about closed captioning have not yet caught up with the current trend of watching TV online. "Although the Federal Communications Commission requires captions for broadcast and cable content, the rules do not cover Internet streaming or digital downloads," TV Week reported. "That makes extending closed captioning to those media more a matter of corporate responsibility than regulation. The FCC rules do cover high-definition and video-on-demand delivery, but experts complain that, between companies not complying with regulations and a lack of consumer awareness, many viewers still feel chained to their traditional analog sets." Experts in media accessibility say the technology to caption TV content online is simple to implement; there just needs to be a willingness on the part of the networks to make it happen. This whole issue is poised to become a crisis in online accessibility. I know many young people these days who watch all their TV content online, and with the writers' strike, some new TV series may begin exclusively online. I hope the broadcast networks will step up and right this wrong. I haven't had time to look through the 108-page program from the recent Sundance Film Festival to find disability content in this year's hot indie films, but I saw a reference to one film, "Quid Pro Quo," which says one of its main characters (played by Nick Stahl) is paraplegic. The film is a thriller that focuses on people who want to become amputees. This is the first film of writer/director Carlos Brooks. "Quid Pro Quo is a dark, puzzling tale of strangers who crash into one another's lives and transform them forever. Isaac, a paraplegic, is a popular New York City public-radio reporter who is investigating a story from an anonymous source about a man who walked into a hospital demanding that his leg be amputated. While pursuing the story to satisfy his own probing curiosity, Isaac meets the strikingly beautiful and mysterious Fiona, a restoration artist. Isaac's investigation not only initiates a relationship with Fiona but also leads him into the strange subculture of "wannabes," those longing for wholeness—or lack thereof—in rather peculiar ways. Will Fiona lead Isaac to answers about this underworld of seekers, or will their stormy association push him toward a more painful truth? In his sleek directorial debut, Carlos Brooks confidently navigates the delicate line of the psychological thriller genre with the help of eerie and convincing performances from Vera Farmiga and Nick Stahl. Quid Pro Quo does not celebrate or sensationalize the subculture it portrays but instead explores the human psyche and allows the audience to ask questions. Brooks takes us on a journey to explore our desires, find order in disorder, and exhume the need to restore normalcy to a society we find ourselves ostracized from." A few months ago I saw the excellent 2005 documentary, "Touch the Sound: A Sound Journey with Evelyn Glennie" on the Sundance Channel. Glennie is an internationally renowned percussionist from Scotland who lost most of her hearing by age 12. I was recently reminded via an email of a YouTube broadcast of Glennie giving a talk and performance in Monterey, Calif., in 2003. In the 34-minute presentation called "How to listen to music with your whole body," Glennie says she wants to teach people to truly listen. She also discusses her struggle to get into the Royal Academy of Music in London, where the instructors said they saw no future for a deaf musician. But she convinced them and changed the culture of the Academy so that it no longer rejects students based on disability. You can see the broadcast here: http://www.youtube.com/watch?v=IU3V6zNER4g. I recommend the documentary, too, because her musical skill is a joy to watch and experience. It also helps anyone who sees it understand that sound is not just "heard" with the ears but experienced with the mind and body. You can see a news report about Glennie at: http://www.youtube.com/watch?v=IlOemXqTOW8. (This news report is a bit cheesy and sensationalized; the kind of "supercrip" story that I don't like to see, but it gives a bit of more background about Glennie.) But for the best Evelyn Glennie story, get "Touch the Sound"; it's out on DVD. Evelyn Glennie became Dame Evelyn Glennie in 2007. Congrats! "Praying with Lior," a film that follows a prayer-loving Philadelphia teen with Down syndrome in his quest to be bar mitzvahed, opened in Manhattan Feb. 1. The documentary, from filmmaker Ilana Trachtman, received an excellent review in the New York Times. It is a NYT Critics' Pick, and film critic Jeanette Catsoulis writes: "Patiently and delicately, Ms. Trachtman teases out the tricky dynamics of a family dealing with a disabled child." The documentary has been screening at Film Festivals around the country and even received a standing ovation at its world premiere at the San Francisco Jewish Film Festival. The filmmakers explain the mission of the film this way: "Praying with Lior is not just a documentary film for diverse audiences. It's also the centerpiece of an ambitious outreach campaign to change the way people with disabilities are perceived and received by faith communities. . . .In a society that literally 'worships' perfection and same-ness, individuals with physical and cognitive disabilities are dismissed and discriminated against everywhere. In the place where they should receive the most welcome and derive the most comfort -- their faith communities -- parents of children with special needs often hear 'your child shouldn't be here.'" The executive director of the National Down Syndrome Society supports the film, saying this: "Praying with Lior is an important and groundbreaking film because it portrays how community inclusion, including religious inclusion, can enhance the lives of people with disabilities and the lives of everyone in the community. . . We are not aware of any existing documentary film that deals with religious inclusion in this way." I haven't seen the film yet but it is nice to see it receive a theatrical release. It sounds to me like a perfect film for synagogues, churches, and mosques to encourage their congregations to see and discuss. 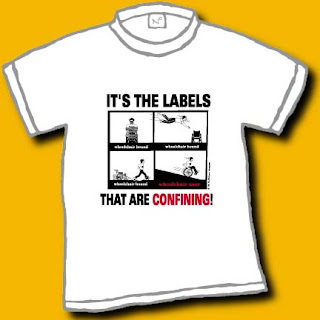 Disability Rights Online News is published every two months by the U.S. Dept. of Justice. * Madison Square Garden will make accessibility improvements. * Swarthmore College agrees to increase access for people with disabilities. * Michigan Courthouse will make accessibility improvements. * University of Michigan sued for lack of accessibility at stadium. * Florida sheriff agrees to provide effective communication for people with disabilities. * Three New York City hotels agree to improve accessibility. * Stockton, Calif., Fire Department will provide services to people with HIV/AIDS. * Georgia landlords agree to stop discriminating against people who use service animals. The new ABC reality series "Oprah's Big Give," which will have 10 contestants competing to make dreams come true for strangers, features a young woman who is a wheelchair user as one of the contestants. The show begins March 2. In addition to Oprah Winfrey's Harpo Production's involvement, Bertram van Munster and Elise Doganieri, the creators and producers of the five-time Emmy Award-winning series, "The Amazing Race," are acting as executive producers for the series. "The Amazing Race" has a good track record (pun intended) with reaching out for diverse contestants. Little person, Charla Faddoul of Maryland, and her cousin, Mirna Hindoyan Buchinski, competed in the 5th season of the show as well as the All Stars show. 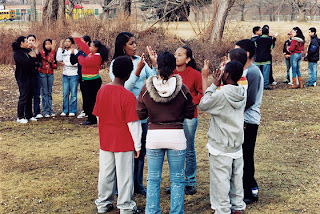 I heard Charla and Mirna speak about their experiences in fall of 2007, and Charla said, "The Amazing Race" specifically put out a call to the little people community to encourage them to try out for the show. She saw the call on a little person listserve. She and Mirna planned the videotape they sent to show producers carefully so as to illustrate that Charla was strong and fit enough to handle the race. Charla said when they made it through to the in-person audition, the cousins continued to emphasize to still skeptical producers that Charla could handle the race. Charla and Mirna knew that any running involved in the show would put Charla at a disadvantage. "You are running against a regular-sized person that you know you can't beat," Charla said in Towson University's The Towerlight. (Both women are Towson U grads.) So their strategy to compensate for this obstacle was to fly smart. They always tried to book flights that would put them at the next destination ahead of other contestants. And she and Mirna did show the world what they could do when they can close to winning "The Amazing Race -- All Stars." (They came in third.) A student of mine from Malaysia says Charla and Mirna are like rock stars there because the show is so popular. So kudos to Oprah or whichever producer decided to include a contestant with a disability on "Oprah's Big Give." I am not much of a reality show watcher but I may just have to tune in. "Today's Man" premiered on PBS' Independent Lens a few weeks ago, and I found it to be a wonderfully realistic and unsentimental look into the life of Nicky Gottlieb, a young man with Asperger's syndrome. The fact that Nicky's sister, Lizzie Gottlieb, directed the documentary is what gives it its nuanced exploration of his life. Thankfully, she allows herself to be part of the story, which is as much about family dynamics as it is about Nicky, because he still lives with their parents. She filmed the documentary over 8 years, and she says in an interview with New York magazine that she took so long because she was waiting for something to happen that would serve as a resolution or "ending" for the film. But the conclusion she comes to is that having an open ending is really the most fitting for the family and a person with Asperger's. What I particularly liked about the documentary is that, although Lizzie is very close to her brother and obviously cares for him deeply, she doesn't sugarcoat his life or her own future as his only family after their parents' death. Her look at Nicky's several failures at trying to hold down a job features brutal honesty about some of Nicky's negative behaviors and unrealistic beliefs about the work world. In one scene, a supervisor is pointing out some of Nicky's problems on the job, like going through someone else's mail and telling people inappropriate things when they call the office. I think Lizzie Gottlieb showed real bravery as a sister and a filmmaker in including that scene. It is that scene and many more like it that that don't shy away from complex behaviors that sometimes affect people with Asperger's and make it difficult for some of them to fully integrate into society. Another poignant scene is when Lizzie and Nicky talk about what their future together will be, after the death of their parents. The scene is early in the film and it helps inform the feeling throughout the film that Lizzie and her parents must try to guide Nicky toward a more independent life not just for his sake, but for the good of the entire family. Film underway based on José Saramago's "Blindness"
Julianne Moore and Mark Ruffalo are set to star in the film adaptation of Nobel Prize winner José Saramago's 1995 novel, Blindness. The novel concerns a community in which an epidemic causes everyone to become blind, except the doctor's wife who feigns blindness (the character Julianne Moore will play). Chaos ensues, social structures collapse, and the doctor's wife tries to lead one group of blind people to safety. Mark Ruffalo will play the doctor, Sandra Oh will play the Minister of Health, Gael Garcia Bernal will play the king of ward 3, and Danny Glover will play the narrator, according to imdb.com. No word yet if any blind actors are attached to the project. Entertainment Weekly speculates that the film version will be one to watch for at the 2009 Academy Awards. The film is being directed by Brazilian Fernando Meirelles, who directed 2005's "The Constant Gardener." The Alexander Graham Bell Association of the Deaf sent a letter to PepsiCo executives Jan. 31 criticizing the Super Bowl ad because it only shows deaf people signing. Shane Feldman, writing in the Deaf DC blog, says he doesn't believe the Super Bowl ad "promotes" sign language or implies that it is the only language deaf people use. He sees no myth perpetuated, explaining "some (deaf people) can speak, some can sign, some can cue, some can do all, some can do some, and that’s all there is to it."